When power systems are put into operation or when faults occur, it becomes necessary to check the instrument transformers to make sure that they are providing test instruments and protective relay equipment with the correct outputs. MAGNUS™ permits you to prepare excitation curves for instrument transformers quickly and easily. 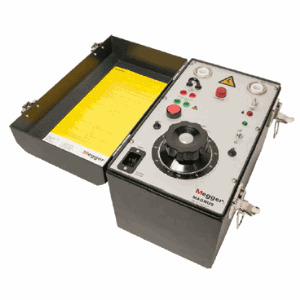 MAGNUS is also used to demagnetize current transformer cores and to conduct turn-ratio tests on voltage transformers. Even though it weighs only 16 kg (35 lbs), it provides 1 A at 2.2 kV. Two-hand control enhances personal safety. As standard, MAGNUS is delivered with a special high-voltage cable and a robust transport case.